Data specialist Landmark Information, in partnership with flood modelling experts Ambiental Risk Analytics and gas network Wales & West Utilities, has launched Great Britain’s first national flood map, which incorporates current and future predictive flood scenarios for the 2020s, 2050s and 2080s. Delivered via a new Climate Change Adaptation Reporting service, it provides asset managers, infrastructure owners, land owners, their advisors and reporting organisations with the ability to understand future flood risks on existing assets and infrastructure, and create a plan to adapt in a phased, responsible and appropriate manner, removing the need to create manual estimations. The Wales & West Utilities initiative developed into a collaborative innovation project with Landmark and Ambiental. Wales & West Utilities are the first utility company in the UK to use the data as part of its UK Climate Change Adaptation Risk Assessment, Reporting and Investment requirements, as per the Government’s Climate Change Adaptation Reporting guidelines. The dataset incorporates the latest river flow, rainfall, sea level rise and climate change predictions available, and allows the creation of unique, innovative new layers, providing insight into flood hazards and the resulting impacts on property, river banks, transport networks and bridges. Using the service, Wales & West Utilities can assess how flood risk and river erosion is predicted to vary locally and regionally at different time periods and under different emissions scenarios – and the impact that could have on the gas network where pipes may be exposed by river bed and bank erosion. This will allow the company which serves 7.5 million people across Wales and the south west of England, to invest to protect the network earlier and at a lower cost. The programme to develop these mapping layers started during Wales & West Utilities’ response to Defra’s first round of Climate Change Adaptation reporting in 2011. A trial area was explored in mid-Wales, with the outputs, usability and cross-sector learning shared with Defra, BEIS, HM Treasury, UK Committee on Climate Change, Environment Agency, UK Infrastructure Operators Adaptation Forum and others. Oliver Lancaster, Future of Energy Project Manager for Wales & West Utilities said: “Being able to analyse future flood scenarios is hugely beneficial for us, so we can determine the impact of climate change on our gas network and the services we deliver to our customers. “For us, it also means we can deliver improved responses to Defra regarding the impact climate change may have on our organisation, and how we intend to avoid inefficient reactive responses to the impact of climate change on our network that come with higher costs over the short, medium and longer term. Tom Telford, Landmark Information said: “UKCP09 climate scenarios modelled by the Met Office indicate that Great Britain is likely to experience increased rainfall frequency and intensity in the future. As a consequence it is predicted that flood hazards will generally increase over time, through more severe events occurring at a greater frequency, compounded by rising sea levels. About the National Flood Map: What Is Assessed? 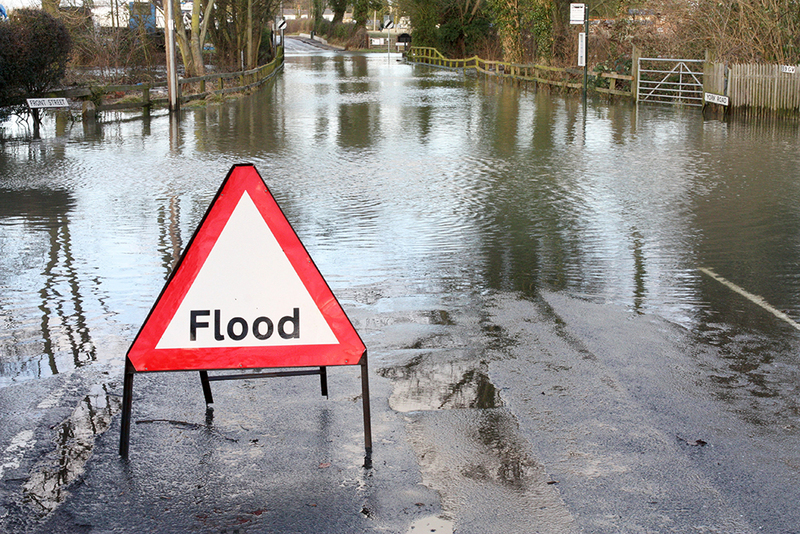 Using best-practice modelling methodologies, the Climate Change Adaptation Reporting service provides the most detailed flood risk mapping available for Great Britain. It presents undefended flood extent and depth information down to the level of individual buildings or assets. Ten flood scenarios are presented from best case to worst case scenario, allowing a quick assessment of risk in relation to physical assets and customers. Information is provided for the present day and three different climate scenarios in future years, based on UKCP09 climate predictions. It is the first full GB flood dataset to be based on UKCP09 Climate Change uplifts and utilises Environment Agency and Natural Resources Wales’ Guidance 2016 and UKWIR Guidance 2015. The next generation of climate change projections from the Met Office, called UKCP18, are in development and will be used to refresh the climate change impact mapping. Wales & West Utilities are representing the energy transmission and distribution sector in the development of UKCP18. Landmark has long-standing partnerships with customers in the mortgage lending, surveying and conveyancing markets, as well as in land acquisition, property development, estate agency and insurance. The business takes an entrepreneurial approach that fosters constant innovation, growth and talent development across the organisation. Landmark Information is an international business which is headquartered in the UK and is part of Daily Mail and General Trust plc (DMGT). 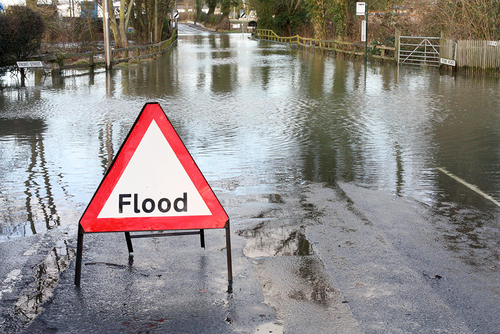 Ambiental is a global specialist in flood modelling and flood risk. It produces flood maps, flood data sets, flood catastrophe models, flood forecasting products and environmental reports internationally, and conducts both rapid assessments and in-depth research that support better decision-making around flood risk management. Using complex data analytics, AI and highly scalable flood modelling algorithms created in-house, Ambiental quickly develop and customise flood data and models to answer specific questions. This helps its clients be far more agile and responsive, whether they need to decide which flood risk reduction strategies to prioritise, how to alter designs to mitigate flood risk, or how to price flood risk insurance premiums and estimate financial losses more accurately. Ambiental’s clients range from the World Bank, utilities, (re)insurance companies, insurance brokers and multinational businesses to property developers and home owners. Every day at Wales & West Utilities, our team of more than 1,300 skilled and dedicated colleagues do their very best to keep our 7.5 million customers safe and warm, with gas connections and a gas supply they can rely on combined with a level of service they can trust. We don’t sell gas; instead we use our extensive pipeline to transport gas to homes and businesses throughout Wales and the south west of England. This involves maintaining and replacing our gas pipe network, connecting new properties and responding to customer gas emergencies. We launched Wales & West Utilities in 2005, and since then we have worked hard to build our impressive and established reputation for delivering excellent customer service with safety, reliability and value for money at the heart of everything we do. We are there for our customers 24 hours a day, 365 days a year – it’s a vital service and one that we are extremely proud to deliver. This press release was distributed by ResponseSource Press Release Wire on behalf of Peptalk Communications in the following categories: Environment & Nature, Manufacturing, Engineering & Energy, for more information visit https://pressreleasewire.responsesource.com/about.